The town was given its name by Frank Liedke, a Civil War veteran, who moved to the area in 1867 and named the town after his hometown in Germany. 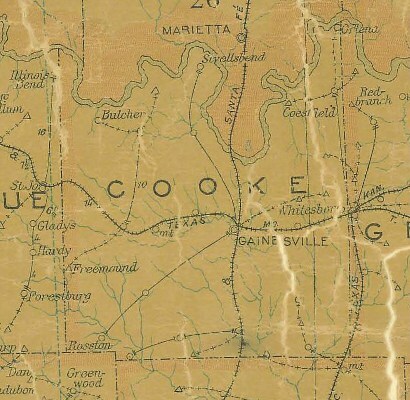 After the Civil War Coesfield had a number of residents who were veterans that had moved to the area to farm. A post office opened there in 1883, and the town's population grew from twenty-five in 1884 to 150 in 1890. Its post office closed in 1906, and by 1933 the population of Coesfield had declined to eighty-one. By the mid-1980s only a few residents remained.